Oktoberfest 2018 is a massive celebration for all the beer lovers across the globe. As for the US, it begins in late September and the festivities last through October. So, students have a chance to see the massive events in their locations. Even though you might not be allowed to drink beer just yet, there’s no reason to miss an amazing holiday! The Typical Student team listed the locations across the US to partake in Oktoberfest in October 2018! Where and When is Oktoberfest 2018? Location: Washington State Fair Events Center, 110 9th Ave. SW, Puyallup, Washington, USA. At this amazing event, you will be offered lots of German food and beer. But not just that! Visitors will also enjoy live performances. Please mind, all ages festivities last until 7pm and all day on Sunday. Location: 100 West Main Street, Fredericksburg, Texas, USA. The festival will feature both local Texas and German cuisines as well as a selection of locally brewed, German and craft Oktoberfest beer. Location: Pack Square Park on S. Spruce Street, North Carolina, USA. Asheville Oktoberfest is described as a relaxing event with lots of German food with the stunning scenery of the North Carolina fall. Location: Deutsches Haus at 1700 Moss Street, New Orleans, Louisiana, USA. Just imagine, three weekends of NOLA to enjoy! Come to the Gulf Coast’s Deutsches Haus featuring German food, beer, music and dance performances. You won’t feel bored in Nashville! Get ready for lots of live performances and delicious German food and specialty brews. Participate in the Oktoberfest bratwurst eating contest! And don’t miss the Nashville Oktoberfest parade scheduled for 1pm on Saturday at Harrison Street & 5th Ave North. Date: Oct. 19-21 and 26-28. One of the most authentic and one of the best Oktoberfests! 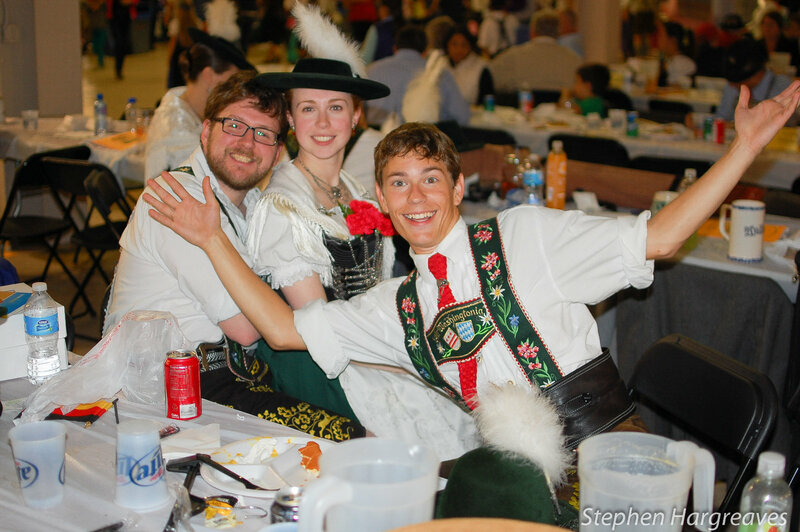 Traditional German food, beer, live German band performances - all of that is waiting for you! 3pm – midnight on the 22nd. MASSIVE Oktoberfest celebration in Virginia, one of the best Oktoberfests in the Mid-Atlantic! This festival will provide you with an exquisite experience of German Bavarian beer and food. Linde Oktoberfest features country-western artists, old-time rock and dance performances. That’s apart from food, of course! Don’t miss a chance to taste German and Oktoberfest-inspired beer, and visit the festival’s arts and crafts fair.